My tour to Ningxia with Bing came to an end. I would be spending a few days in Beijing meeting Martha, Tian and Qi and in search of foliage. My flight to Beijing departed on time at 10:15am while Bing’s flight was delayed till 11am. I arrived in Beijing two hours later and took the airport express (¥25) to Dongzimen (about 30 minutes). Everything went well till I came out of the airport express. The exit is two levels below ground level. But there is no escalator between the level of the airport express exit and the level above. I saw a lift and asked the staff whether they could allow me to use the lift to go up to the next level. I received a flat refusal. As a result, I had to carry my 20kg suitcase and moved my suitcase up one step each time. It’s strenuous and might break my back. The staff of the airport express did not care! No one came forward to give a hand to this elderly lady. From this incident, I discover the poor design of the airport express which only opened in 2008 and the lack of compassion of people in the capital. Once I reached the next level, I could take the escalator to the street level. I took a tricycle ride (¥15) to my hotel nearby. I had a spacious room with elegant wooden furniture. 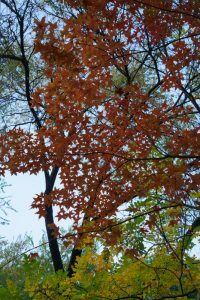 At 4 pm, Qi took me to the Chaoyang Park 朝陽公園for a stroll and to see foliage. The park with golden foliage colours was pretty. In the evening, we had excellent home-cooking in Martha’s place in Dongzimen. 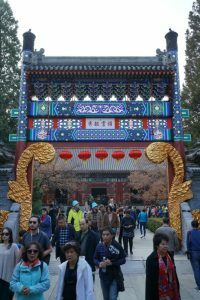 Beijing has a surprising amount of greenery with a dozen of well-known parks including the Beihai Park, Jingshan Park, Ritan Park, Summer Palace, Longtan Park, Beijing Botanical Gardens, Taoranting Park and Zhongshan Park, some of which were imperial parks. The Badachu Park, Bai Wang Shan Forest Park and Xianshan (Fragrant Hill) Park at the Western Hills which are known for their foliage colours. 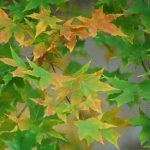 I decided to spend two days to checking out the foliage. What are my findings and impressions? 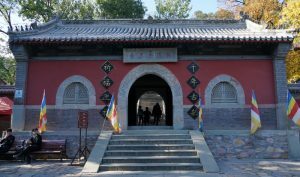 It is also known as Eight Great Sites 八大處Park owing to its eight Buddhist temples and nunneries namely Chang’an Temple长安寺, Lingguang Temple灵光寺, Sanshan Nunnery三山庵, Dabei Temple大悲寺, Longquan Nunnery龙泉庵, Xiangjie Temple香界寺, Baozhu Cave宝珠洞 and Zhengguo Temple 正果寺 that scatter across Cuiwei, Pingpo and Lushi hills in the park. 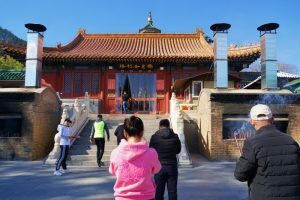 I followed the footpath and visited all the sites except the Chang’an Temple which is closed. I had no idea about this park till Qi recommended it to me. 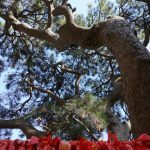 I felt blessed when stepping into the Lingguang Temple, a pilgrimage site with the tooth relics of Sakyamuni. It was initially erected in the Tang Dynasty (618-907) and is famous for its majestic seven-storey stupa, the sutra wall and arhats wall. 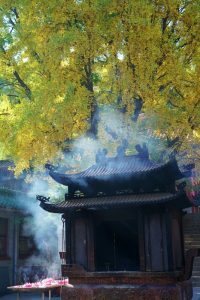 The Xiangjie Temple is the largest in the park housing five courtyards. 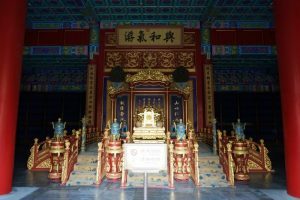 It used to be one of the temporary residences for Emperor Kangxi and Qianlong in the Qing Dynasty. The Baozhu Temple initially built in 1780 during the reign of Emperor Qianlong, has a cave behind its Guanyin Hall. The Baozhu Cave has pebbles on the wall like shining pearls. I call this my cave as my Chinese name is ‘Baozhu’. 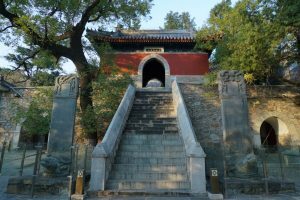 There are many inscriptions of Emperor Qianlong. I began to descend from the cable car station followed a path that took me to the ‘Red Leaves Admiration Zone’ located in the middle part of the valley. The foliage was disappointing. I did not walk through the bottom of the valley thus missing the ‘Chinese Seal Valley’ showcasing the Chinese seal culture. 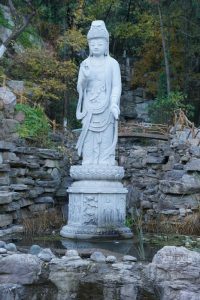 On the way to the Zhengguo Temple, the oldest with a history of over 1,200 years, I looked at the stone sculptures at Moya Valley. It is said that Lushi once studied as a monk in the temple. It was closed when I arrived. I was alone and finally found peace and tranquility. The park is also known for its natural beauty and scenery. I thoroughly enjoyed my leisure stroll in the park and five hours passed without notice. 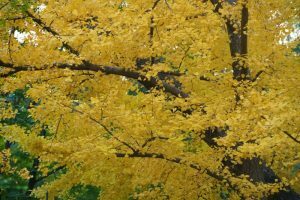 This park has a great variety of trees including a large quantity of mature maples. 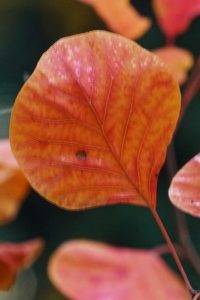 While common smoke tree is the main species, the red leaves of the torch tree resemble countless burning torches on the mountain. 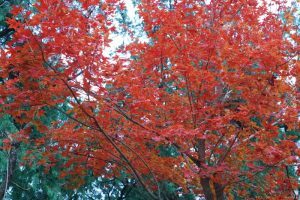 Qi considers it a best kept secret for locals to enjoy the red foliage. This park features stele corridors and poetry walls. 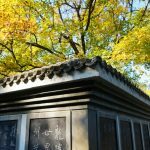 There are a memorial hall telling the story of over 200 revolutionary martyrs with a collection of precious photos and letters; and a Sh’e Temple built in memory of an outstanding heroine in the Northern Song Dynasty (960-1127). This park first built in 1186 in the Jin Dynasty (1115-1234) has been expanding during. Made up of hills and forest, it has abundant cultural relics and beautiful scenery. Its highest peak, Burner/Xianglu Peak stands at 558m above sea level. The name of Fragrant Hill came from the Fragrant Temple first built in the area in the Tang Dynasty. Lots of relics in the park were damaged by foreign troops in 1860 and 1900. Today, the park has been largely restored and expanded with an area of 162 hectares. 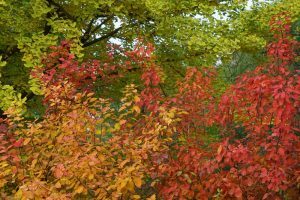 The park is one of the most famous places in China for red foliage when red smoke tree leaves blanket the entire mountain in the fall. 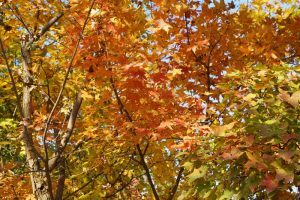 During the foliage season (from mid-October to early November), the park allows 70,000 visitors a day. There are two main routes to explore the park. 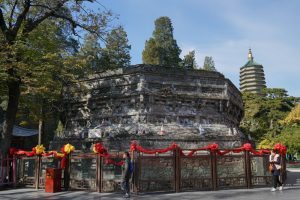 The north route takes visitors to the Yanjing Lake (Spectacles Lake) divided by a bridge, Jianxin Zhai (Study of Reading Heart) built in Ming Dynasty and Zhao Miao (Bright Temple), a large Tibetan style lamasery complex built in 1780 as the residence for 6th Panchen Lama during his visit to Emperor Qianlong. 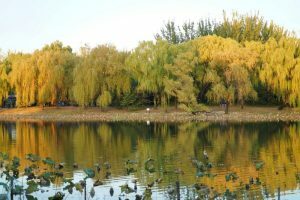 The south route covers the Jingcui Lake (Tranquility Green Lake), Shuangqing Villa which was once the residence of Chairman Mao, Fragrant Temple and Xianglu Peak. I did not enter till 4 pm. As I entered from the East Gate, I took the south route. The Jingcui Lake looked pretty with some golden reflections. 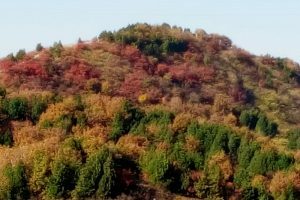 I walked along the south hillside which is said to be a good spot for watching red foliage. But the peak of the foliage had gone. Apart from a few trees which still had plenty of fiery red leaves, the forest looked dull. 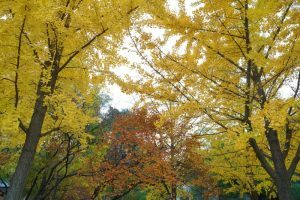 I was annoyed when I watched a couple of Mainland ladies shaking the trees in order to take a photo with falling leaves. I told them to stop shaking the branches, they ignored my advice. I despise them for their lack of civic education and care for nature. The park authority should fine them for say ¥1,000. The Shuangqing Villa is still being restored. By the time I arrived at the Hongguan Temple, it was already closed. The sun was setting fast and the park would be closing at 6:30pm. 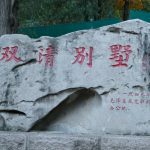 My first visit to the Fragrant Hill did not meet my expectation. The foliage was not as impressive as I had read in literature. The park was crowded and noisy. I was irritated by the reckless actions of selfish visitors. The scenery cannot be compared with those in Japan. But I still plan to return in a spring day to explore it again. 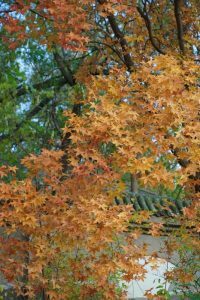 My brief stay in Beijing was filled with joy meeting up with Martha and Qi and having delicious home-cooking at Martha’s place and hiking in Western Hills though the foliage did not meet my expectations. I love train journeys. 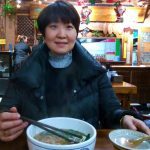 When I retired in 2010, I took the Trans-Siberian Train to Beijing and normal train to Wuhan where I boarded the high-speed train to Guangzhou. I am thrilled by the high-speed train from Beijing to Hong Kong which commenced on September 23, 2018. 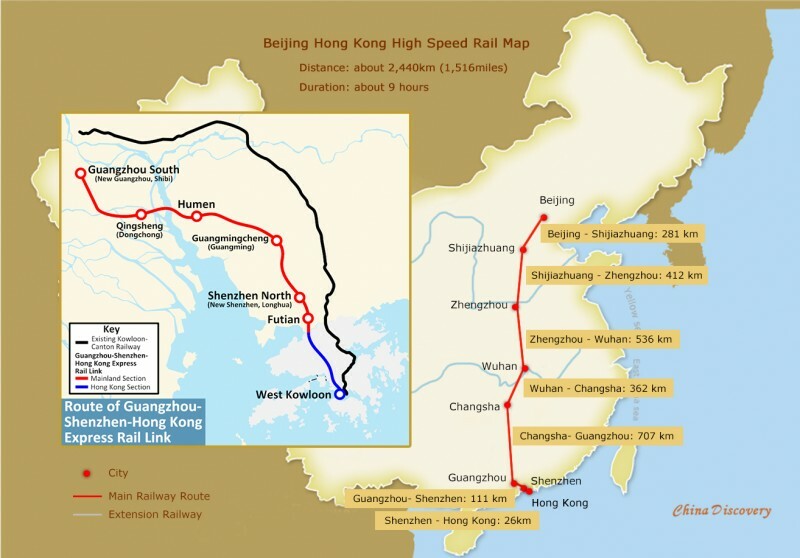 I could not wait to take a ride on the world’s longest high-speed rail route. Traffic in Beijing is notorious. I took a taxi shortly after 7:30am to the Western Train Station and had been warned the journey could take over an hour. The ring-road was already clogged. Luckily the traffic though slow was moving steadily and I arrived at the station around 8:15 am. This train station caters for high-speed trains only. I find the design of the waiting halls far from satisfactory. They are small, dark, dull, messy and noisy. The air is stuffy. Passengers on this train are advised to arrive 60-90 minutes before departure. It is not necessary. I was relieved when I could leave the over-crowded waiting hall to board the train. It departed on schedule at 10 am. During the nine-hour journey, it only stopped briefly at Shijiazhuang, Zhengzhou, Wuhan, Changsha, Guangzhou and Shenzhen. The train service in China has made tremendous improvements in the last decade. I find the attendants polite, and the toilet generally clean. I enjoy the scenery along the rail route. Apart from the high-rise buildings in the big cities, I only find expansive, green and tidy countryside with paddy and corn fields, orchards and vegetable farms or lush forest. The rice and corn have turned golden, ready for harvest. My journey would have been perfect if I had not seated next to an over-excited 5-year-old girl who was taking her maiden trip to Hong Kong. She talked non-stop or cried for over seven hours. I only had peace when she felt asleep. If one wants a quiet and peaceful ride, one must get a first-class ticket. I arrived in the West Kowloon Train Station around 7 pm. I went through Chinese Immigration Control in a minute, walked a short distance and stepped into Hong Kong territory as the immigration check-point of China and Hong Kong are co-located on the same floor a few hundred metres apart). I came out of the train station within 15 minutes. But there were few taxis and I waited for almost an hour. Something should be done to coordinate with the taxi-drivers. I was back home around 8 pm after being away from my sweet home since September 12. I have been too busy to think and write since my return to Hong Kong in early November. Finally, I am on my own at home and can sit down to upload photos and reflect on my 29-day journey across China. I have travelled overland from China’s border with Pakistan (Khunjerab Pass at 4,880m) to its border with Tajikistan (Kulma Pass at 4,362m) by road, from Urumqi to Yinchuan by train and road, and from Beijing to Hong Kong by train. I guess I might have covered some 7,000km in total. There are a few things worth recording. After my visit to Inner Mongolia and Ningxia, I have finally set foot on all the 23 provinces, five autonomous regions, four direct-controlled municipalities and two special administrative regions of China. Of course, China is so vast with rich history and culture that I have merely scratched its surface. This is my second trip on the Chinese section of the Silk Road. Since 1991, I have visited countries in Central Asia and important Buddhist sites in Nepal, India, Pakistan, China and Japan. I have therefore learnt more about Buddhism and the Silk Road. On this visit to Dunhuang and Yulin, we were lucky to have three knowledgeable guides. Though it is impossible to fully appreciate the caves in three days, I have learnt something. But more I see, the more I want to learn. My friends and I are keen to return to learn and already talking about another visit. I love trains and am thrilled to spend 16 hours on high-speed trains speeding through two totally different regions in China. I watched the awesome, surreal, expansive and uninhabitable desert landscape from Urumqi to Liuyuan. Then, the green and extensively cultivated countryside in the south looks rich, welcoming and inhabitable. What a contrast! China’s infrastructural developments have been impressive and propel economic development. Ningxia though remote and said to be one of the least developed regions is catching up. With improved transportation network, goods including agricultural products, flow more efficiently while eager Mainland tourists travel all over China. I can see visible changes in Urumqi, Tutufan, Dunhuang and Lanzhou which show signs of prosperity. Of course, poverty and social problems are still widespread in remote and poor parts of China. I am pleased I have a chance to meet the students in Yinchuan whose parents are farmers. They work hard, receive scholarship and are now studying in university. They are promising, well-behaved: they are the future of China. The main problem with this trip is planning. The Gansu driver did not offer candid advice when we consulted him on the itinerary. As a result, we spent long hours on the road with insufficient time to explore the attractions. 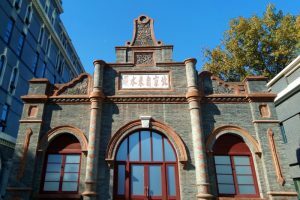 We could have skipped Inner Mongolia altogether so that we could have spent a whole afternoon in the Jinta Desert Huyanglin Scenic Area and more time in archaeological sites, in Jiayuguan, temples and the three geoparks in Zhangye. I am often a lone traveller. But this time, I have been surrounded by a nice bunch of old and new friends. They are all accommodating and easy-going. Six out of eight people love mutton: as a result, I had mutton almost every day! How wonderful! No doubt I have put on weight!